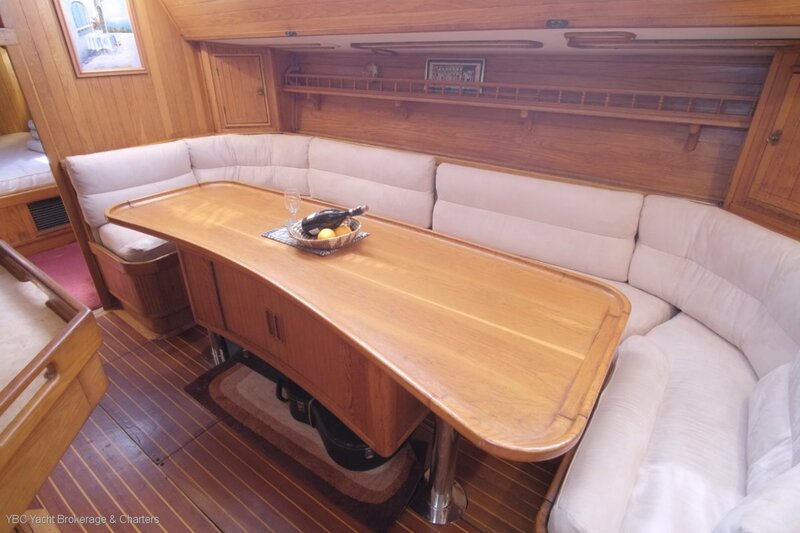 'Lorrigray II' is a custom round bilge steel cutter from designer Dudley Dix. 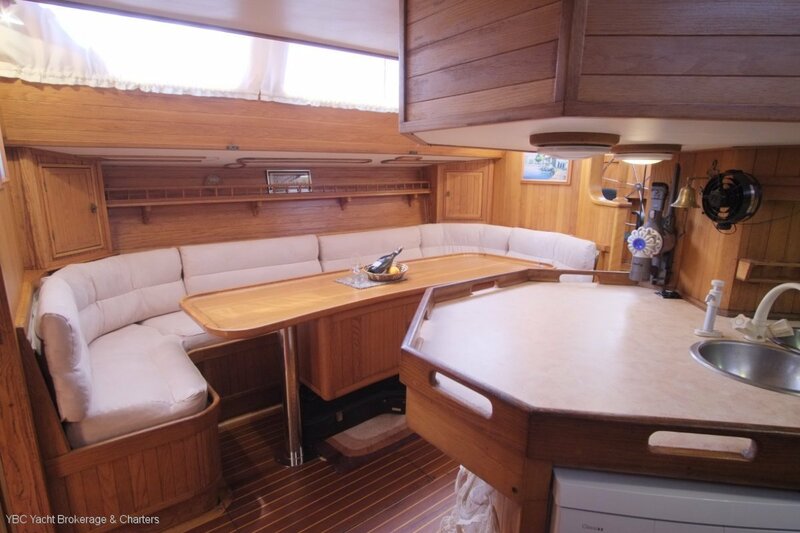 Her owners are lifelong cruisers and they had this high spec, powerful design commissioned by Dudley Dix who project managed the build to Lloyds Class. 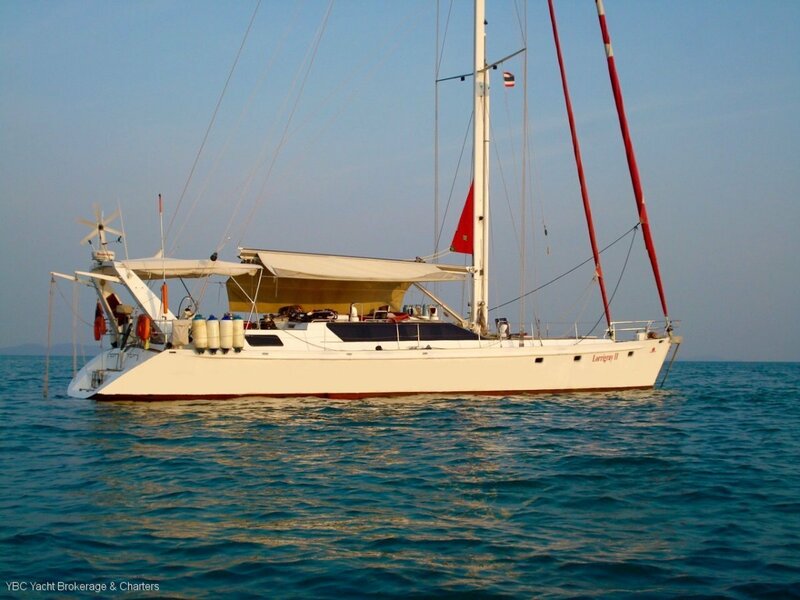 Designed as a luxury cruising yacht that can be comfortably handled by a couple or offer luxury term sail or dive charters, the yacht has excellent redundancy features built in, not least of course the twin engines. 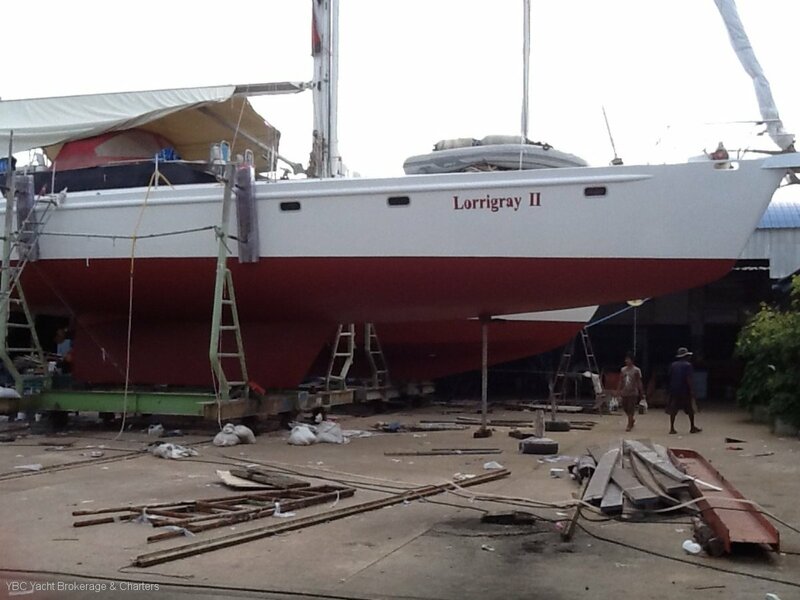 The hull was a thorough build, zinc epoxy applied after blasting, epoxy tar applied to the interior. 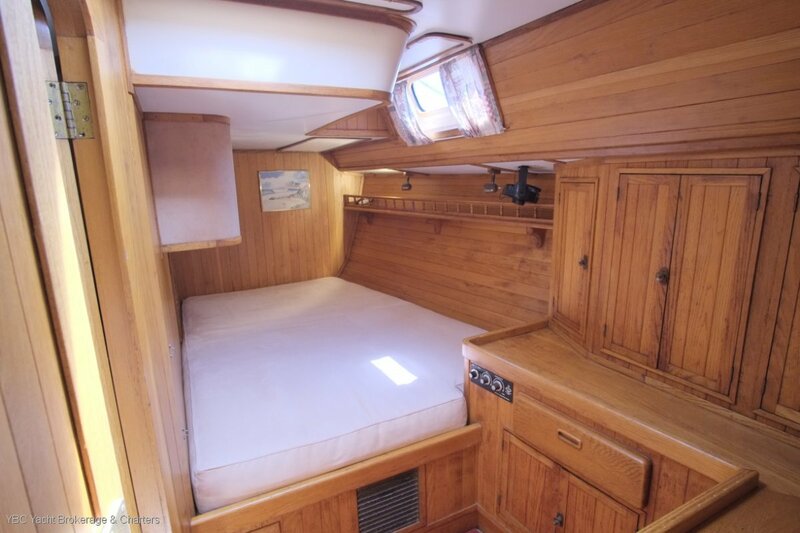 The hull was beautifully faired and took a five man team almost twelve months. The condition today is a testament to these efforts. 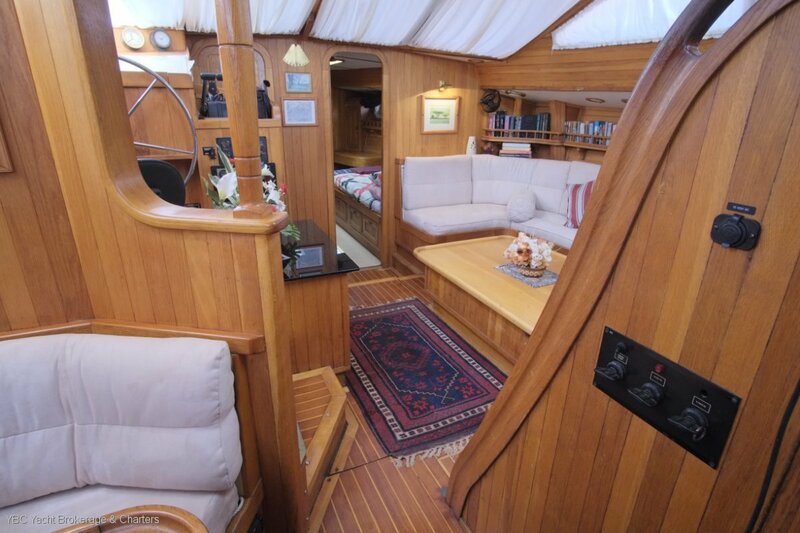 The interior fitout was equally fastidious, solid American white oak. 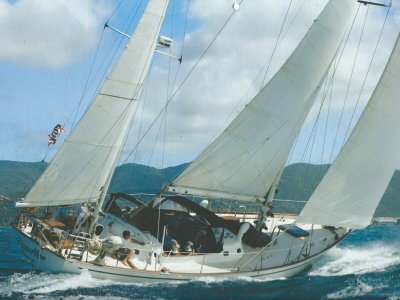 A powerful sailing yacht but with hydraulic winches and all furling sails she is easily handled by two and passages in rough conditions will bring a crew home fatigue free. 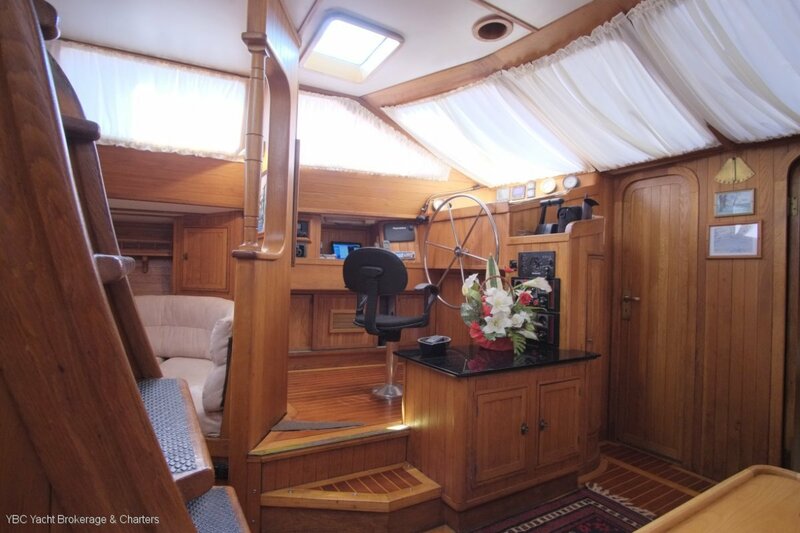 The yacht has two cockpits. 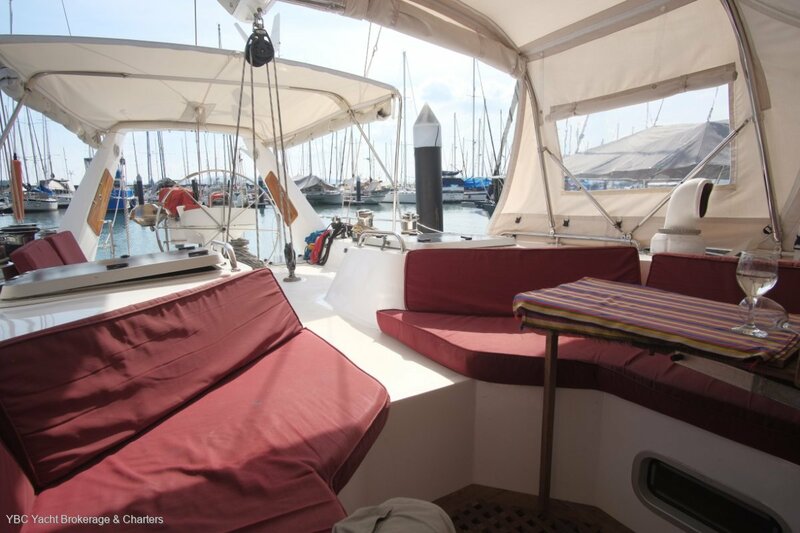 The central cockpit is ideal for guests and provides a sheltered area to tuck in whilst on passage or at anchor, It has just had a fully enclosed SUNBRELLA dodger arrangement installed which now affords complete protection from sun and rain. 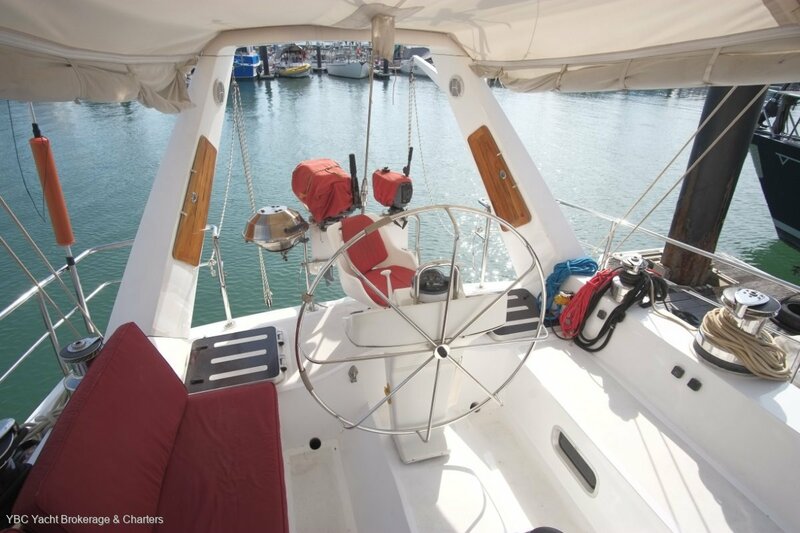 The aft helmsman station is also covered with a SUNBRELLA bimini which provides sun and rain protection. 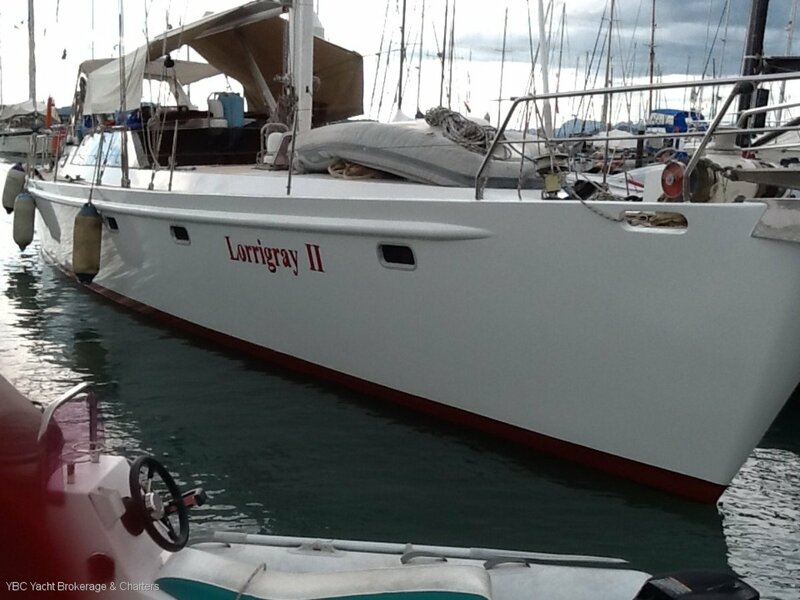 'Lorrigray II' also boasts an interior raised helm/nav station..
Twin YANMAR engines. 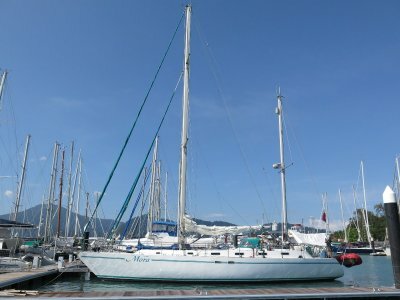 Both original installations were 4JH2 models (100hp) but one engine was replaced with new in 2012 in Australia with the next model, 4JH3 (75hp). 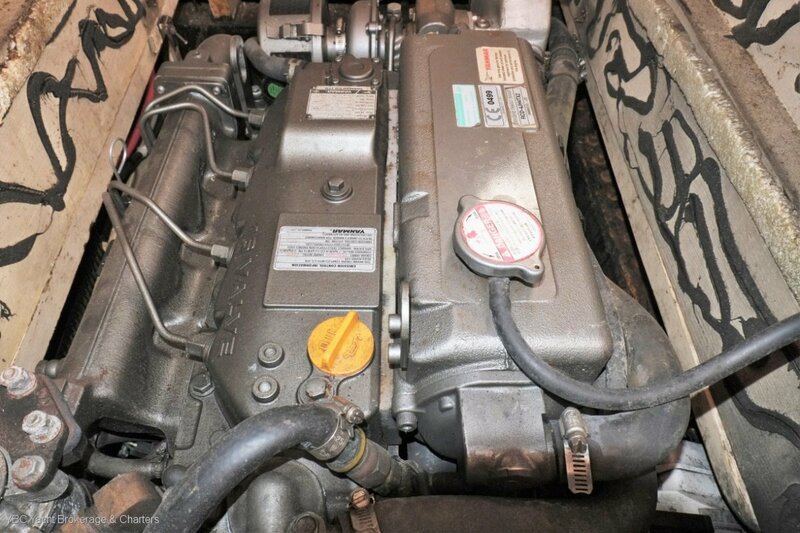 Both engines have the standard 12volt alternator plus a second MASTERVOLT 24volt alternator, battery bank can be charged from either engine (extra 24volt charger installed 2017). 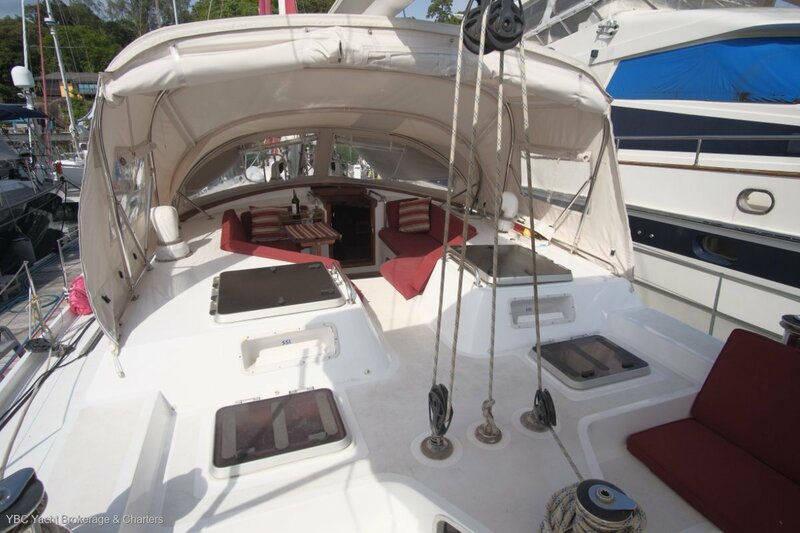 Each engine has separate fuel tanks and delivery. 10Kva YANMAR STAMFORD genset (new in 2016) This 3 cylinder genset has common parts with the main engines. 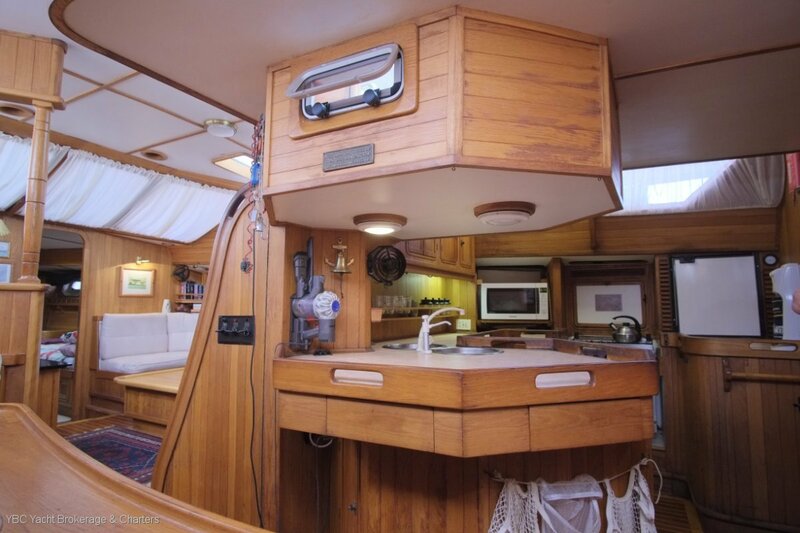 Stepping down the companionway you are met with a wide and inviting living space. 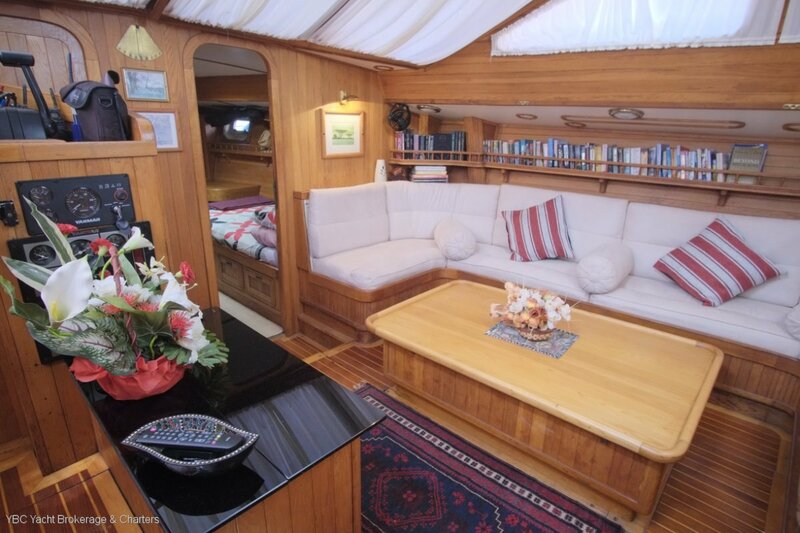 The yacht offers four double cabins plus a bow crew cabin up front. 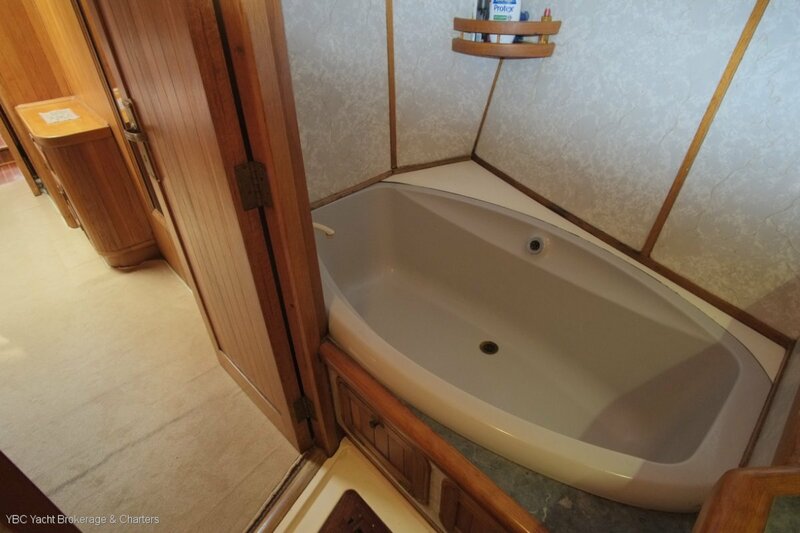 Fully aft, the two double cabins share a central bathroom between them. 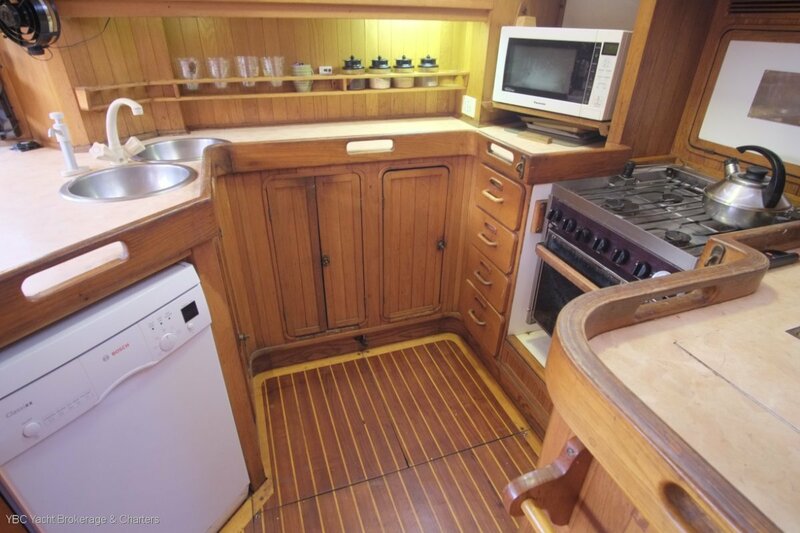 Next the large separate galley.. It is especially well designed for two or three people to be preparing food simultaneously. 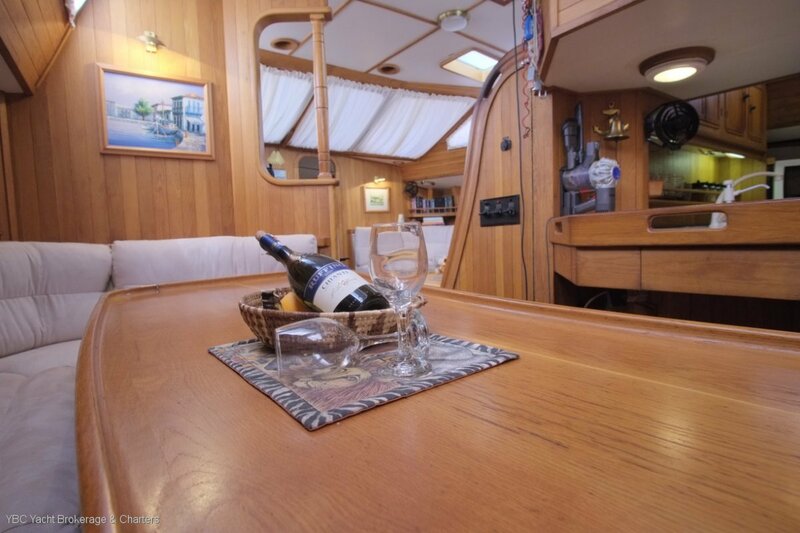 The neat dining area is adjacent to both galley and saloon and has a beautiful dining table for eight. 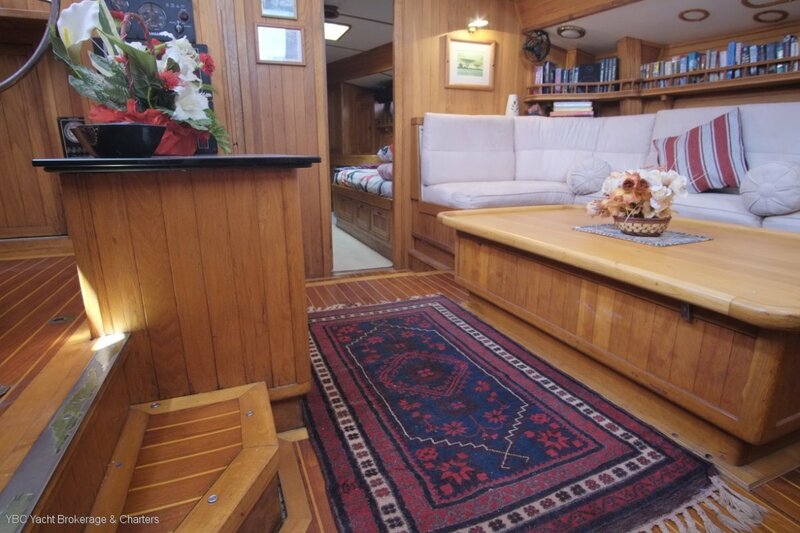 This is a great feature of the layout, it frees the saloon for true relaxation. 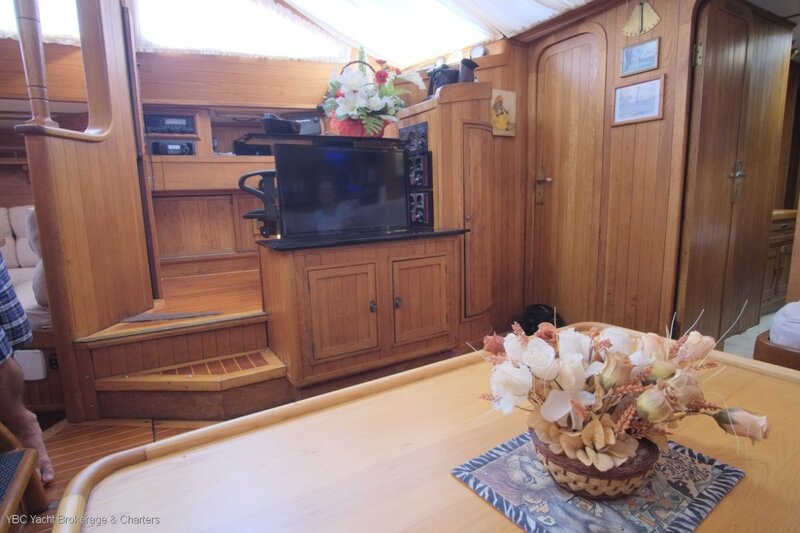 The saloon has a u shaped settee facing the port side and a motorised flatscreen raises and lowers from the opposite cabinet. 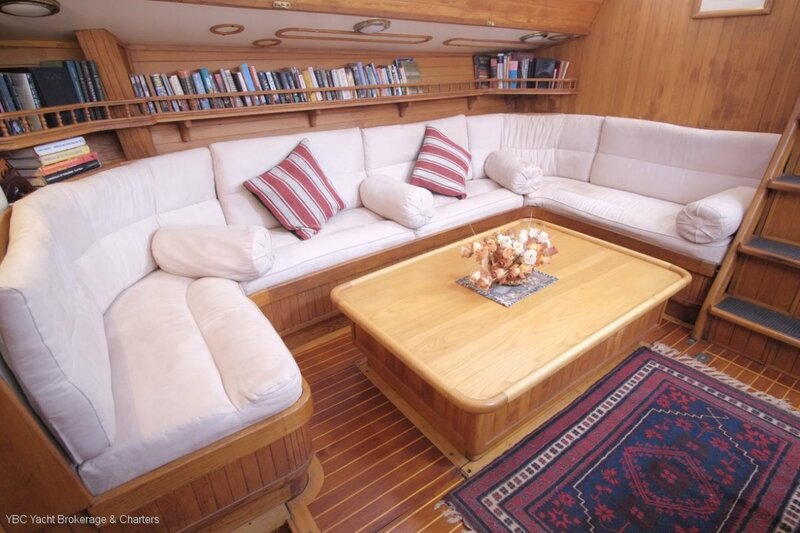 A low coffee table adds to the relaxing mix. 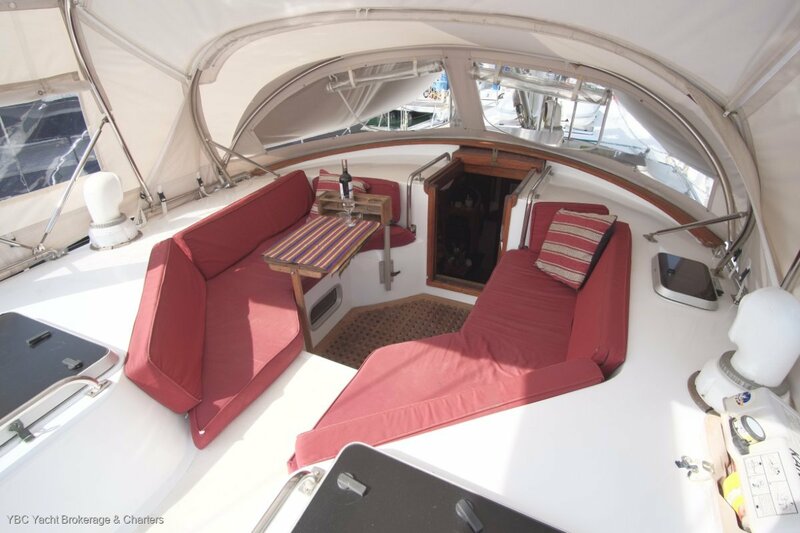 All upholstery in the yacht was renewed in 2014 and is in excellent condition. 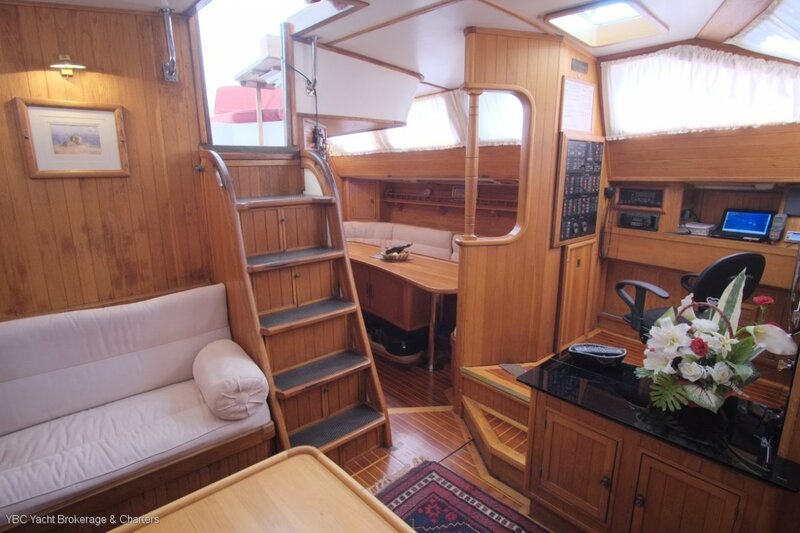 Moving forward, there are two double cabins. 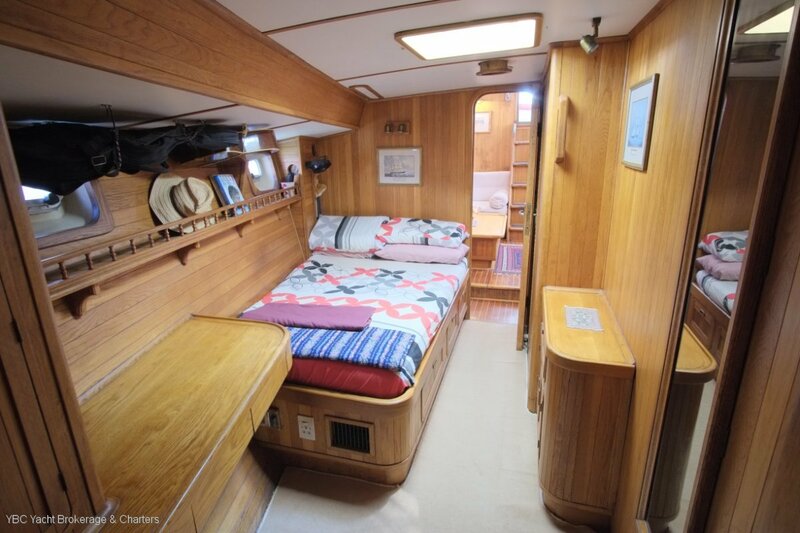 The owners have adopted the starboard cabin, can be a convenient skipper/owner cabin during charters, and there is a bathtub and washing machine in the bathroom. 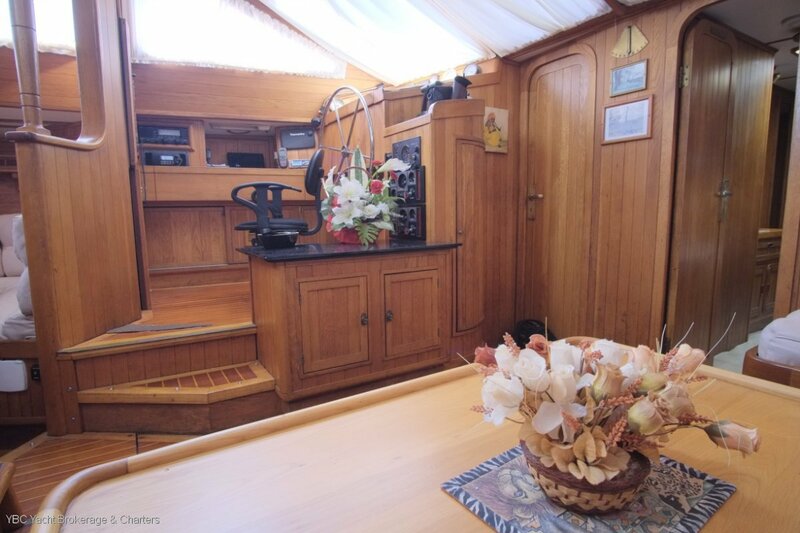 All cabins are cooled/heated by two reverse cycle air conditioning units, the forward unit was new in 2015. 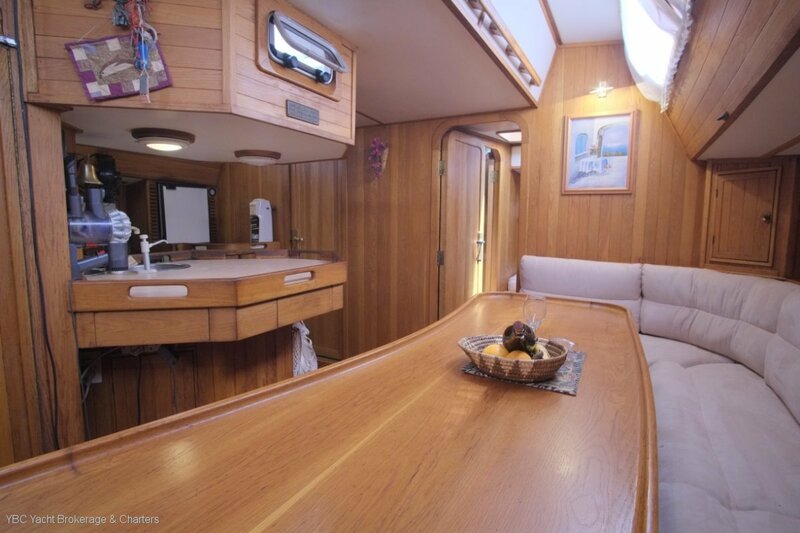 All cabins have 220VAC outlets. The system was designed by MASTERVOLT. DC charging from 12v alternators, 24v alternators and AEROGEN 6 wind generator. 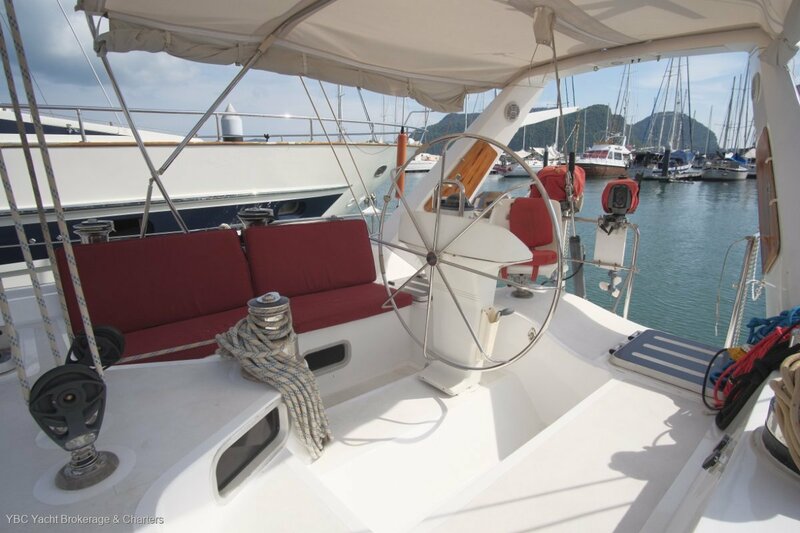 The nav system is currently undergoing updates, the system includes RAYMARINE E70 with remote controls from both inside and outside stations. 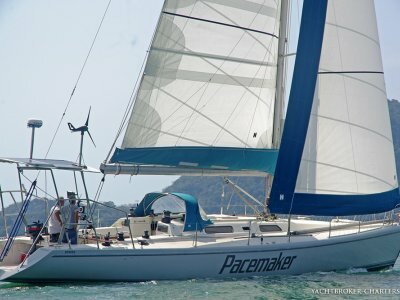 Triple spreader keel stepped aluminium masthead cutter rig. 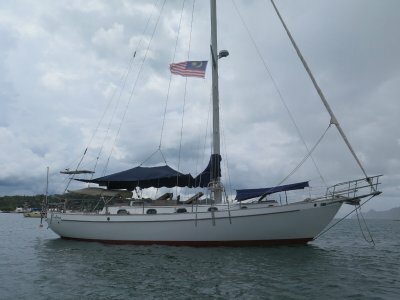 Hydraulically furling mainsail. Steaming light. Deck flood. Spreader lights.